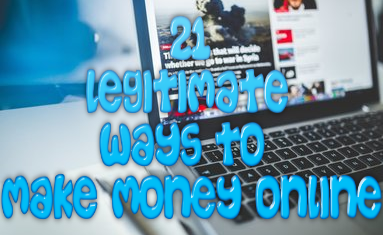 There are many programs out there that claim they can help you to make real money online. Unfortunately many of these programs fall short of this promise and end up stealing the money from innocent people just so they can profit in the long run. One of the programs that falls under this category is SFI Income. Unfortunately this program has a proven track record of scamming many people and in this SFI Internet Income review, you will learn the truth about this program. This program is called the Six Figure Income Program, but most popularly goes by the name SFI. It started out no different than any other business, except for the fact that it has more layers of confusing and worthless info attached to it. When you do basic searches for reviews of this program you will find a variety of reviews, both negative and positive. One of the most ironic things about this program is that not one of the advantages that you will se listed actually help you to earn a “six figure income” and most of the disadvantages show how you are unable to earn money in the long run with this company. Let’s go into them in more detail. This program requires you to purchase items (that you do not necessarily need) and to purchase these items from companies that are considered untrustworthy. The whole point of this purchase is for you to earn a commission for the product and this earn the money that you want. You have to start out the at the very bottom of the period. In order to move up the pyramid, you have to recruit friends and family to the business shamelessly. You must risk paying more out of pocket for your membership than you will actually earn in the long run. There are a lot of complaints about this company from various people. The personal information that you give away to the company is sold to a bunch of 3rd party programs who will try to sell you on coaching programs for thousands of dollars and that are really unnecessary. This program will not help you to create a real online business. Unfortunately with this program there are more cons than pros and I was hard put to find any real good things about this product, especially when there is a lot of negativity about it out there. This program will not help you to create a real business online. For you to do that you need to get involved in a program that will actually help you out with that. When you sign up for this program, the one thing that you will notice is that it is kind of free. While I am never opposed to any kind of program that allows you to try them out before you buy, this is just the starting point for this program and where most things begins to get a bit confusing. Once you join the program, there are a few basic steps that you need to take first. Step One: Become an EA or Executive Assistant and stay an EA each and every month. Step Two: Recruit at least five affiliate using the methods recommended in the program. Step Three: Teach your affiliate to follow the same steps. Still confused as t how this program works? You are not alone. Let’s go step-by-step to see exactly how you earn money with this program, but first you need to start out doing a few simple tasks. Step One: Start Earning Cash By Accumulating VersaPoints. These points are SFI’s own point system that allows you to collect the points you need by doing lengthy tasks. The points are laid out in increments of 10 to 20 points. However, there are some tasks that are as high as 150 Points. What are the tasks that you have to complete? These tasks range from sharing the program to other people to completing tasks that will only serve to benefit the SFI company itself such as buying useless products. The next thing that you have to do is become an affiliate for a website known as TripleClicks. This is a company that is not really trusted unlike Amazon and many of the products that they offer are questionable at best. Just like any pyramid program, you need to invite people to the program to do the exact same thing you are doing so that you can earn some money. Then these people will have to do refer people just like you and continue the never ending cycle. You need to ask yourself if this is the kind of business model you have always dreamed of building? I don’t think so. The many different income streams that this company recommends range from ECA programs (TripleClicks), CPA Programs and Pay-Per-Action Programs. 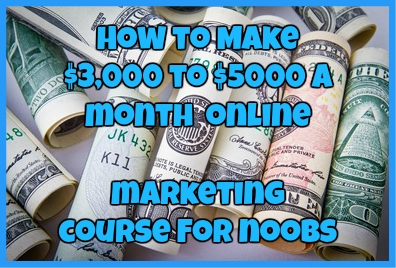 While these are all legit ways to earn additional income, these are methods that very few people can comprehend, even after years of marketing experience. I have personally never seen as many complaints online about any program more than this one. When there are enough people out there that feel like they have been ripped off, they tend to complain and they complain very loudly. One of the most popular places that you can find online complaints and scam reports is RipOffReport.com and from what you can see below there are a ton of complaints popping up everywhere. You will see that a lot of people out there are coming forward and calling this program exactly what it is: a scam. You know what? I have yet to find one person that has actually made $100,000 per year with the SFI program. Most of the people that utilize this program barely make enough to pay off their monthly debts. To make it worse the Better Business Bureau has a surprising amount of complaints against the SFI Marketing Group. At the time of me writing this review there are 42 complaints in just the past 3 years alone. The one thing that you have to remember is that if people are unhappy with the service or company online, they tend to report it with the BBB. Another common theme that I have found with the SFI Marketing Group is the fact that they like to reduce affiliates earnings simply because they can do it. Below is just one example of a person who had their earnings reduced for not reason. With all of the complaints out there, it is really tough to blame the affiliates for not trying. While yes there is such a thing known as bad consumer and there are plenty of people out there that do not give a program enough time to achieve success for themselves, but when you have a company that has as many complaints as this one, you can obviously see how much a blatant scam it is. This program is not really free. One of the things that you have to consider with this program is the value of your time, which to many people is worth a lot. With this company you will be wasting a lot of your time. You will also be asked to invest thousands of dollars into a mentoring program that is pushed upon you and that you don’t even need in the first place. The bottom line is that this program is very confusing right from the start. The way that this program has been built is only to benefit the SFI Marketing company and not you. From the moment that you sign up you will be forced into a scheme that you will waste your time promoting without little monetary compensation. While I know that this program may be alluring to many people, the truth is that it is a straight up scam. You will not learn anything about starting your own online business and you will be forced into promoting the product to your friends and family just to earn some extra bucks. In my opinion, there are much better ways to do this. Do you have any experience with the SFI Program yourself? If so I would love to hear from you. Just leave your comments below for us to see. ← How To Make Money Dropshipping: Is It Even Possible?